Navient is being accused of several violations of California law. The company allegedly steered borrowers towards forbearance instead of an income-driven repayment plan, which would have been the better option for the borrowers. The company is also accused of applying overpayments to interest and fees instead of to the loan principal, despite telling borrowers they would apply the excess payment to principal. Additional accusations include claims that Navient didn’t discharge the loans of borrowers who were eligible to have the debt wiped away due to a total and permanent disability. The company also misrepresented the amount borrowers had to pay to become current on their loans. Two of Navient’s subsidiaries, Pioneer and General Revenue Corporation, have also been sued. Both subsidiaries worked as debt collectors on behalf of the federal government. Many states and consumer advocates are locked in a battle with Betsy DeVos’s Department of Education over holding for-profit colleges accountable for misleading borrowers. 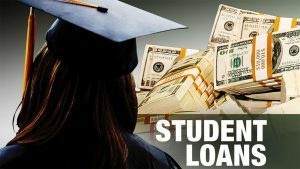 A handful of states have recently enacted laws requiring student-loan servicers to follow certain consumer protection rules in their states. The Consumer Financial Protection Bureau as well as the states of Illinois, Washington and Pennsylvania have all sued Navient over its business practices.